Agents with 3+ years experience who are specialists in their local market areas and who demonstrate a high level of integrity, energy, love for their work, and are excited to get started on the projects we send them! High level of communication, strong problem solver, real time availability to work on the specific project. Arrives to showings on time and is truly prepared to show homes. Communicates with status updates throughout the buying process. Negotiates price and terms in the Buyer’s best interest. Must have real time availability to take on the project. High level of communication, strong problem-solver, real time availability to work on the specific project, and a marketing proposal identifying an advertising plan for the home Seller. Consistent communication with updates and feedback are expected. Communications on status are necessary. Obtains and shares showing feedback with the seller promptly. Negotiates price and terms in the Seller’s best interest. Must have real time availability to take on the project. Agents who do what they say they will. Agents who call when they say they will. Agents who show up when they say they will. …Agents Who Consistently Do All This From The Introduction To The Closing Table. THE REAL ESTATE AGENT HEADHUNTER fills needs of Consumers (home buyers and home sellers) who are looking to select a real estate agent that is right for their project. The Consumers who come to us are Savvy Consumers in the $250,000 or above price range and/or Affluent Consumers who understand and believe that in order to have a smooth and positive experience when buying or selling their home, they must start with the right Agent who is truly capable of delivering such an experience to them. Our job is to connect Consumers to such Agents. We search, review, analyze, and interview Agents until we have handpicked the one Agent-Candidate who we feel is most qualified for the Consumer’s project. We ask the Consumer to hold off in searching for any other candidates while we headhunt. The Consumer always makes the final decision and tells us after the introduction if they accept or decline to work with you. Equally, you may decline a project if you feel it is not right for you.This service is offered for both buyers and sellers. We search, review, analyze, and pre-screen Agents until we have handpicked up to three qualified Candidate-Agents for a home listing who we feel are most qualified for the Consumer’s project. We ask the Consumer to hold off in searching for any other candidates until they have either selected one or declined all from the introductions we made. The Consumer always makes the final decision and tells us after the introduction which Agent they have selected to list the home with. Equally, you may decline a project if you feel it is not right for you. This service is for Sellers only. We send you an invitation to either a phone interview (We-Interview) or a phone pre-screen (We-Screen). Within the invitation, will be a general summary describing the scope of the Project including the area and any important notes. The Consumer’s contact information will not be provided in the invitation. The Seller’s property address will not be provided in the invitation. Our interviews are structured to the point. We quickly identify who’s right for the project and who is not. When we put a Client into your hands, we are also placing our reputation into your custody. This is why it is imperative that we make the Agent-Consumer introductions with full and complete confidence in you and your services. Together, let’s show the world what excellence looks like in the real estate industry! The Consumers we work with are usually looking for quick results. Please accept / decline the invitation for either a We-Screen or We-Interview as soon as you review it. Before accepting or declining an invitation to interview (or pre-screen), please familiarize yourself with the standards we seek in Agents and learn why Consumers come to us in search of the best fit Agents. We don’t just introduce Consumers and Agents, we follow up throughout the process with everyone. Knowing that a healthy working relationship exists between the Agent and Consumer throughout the entire project is essential to us. We communicate with the Consumer to be sure they are happy throughout the process and confirm that they are receiving regular necessary communications and support from the Agent. We reach out at the beginning after the Consumer and Agent had a chance to meet, during the process and then again around the closing. If we get the impression that the Consumer’s confidence is beginning to drop in the Agent’s performance, we will communicate this to the Agent in hopes that the Agent will take appropriate action. Why do we do this? When we introduce Agent-Candidates, we invest our time, efforts, and personal reputation in the Agents we believe in. Therefore, if we feel that it is important to communicate that a certain action or habit needs to be corrected after it is expressed by the Consumer, we will do so in order to ensure the highest level of consumer confidence. We do not manage or oversee the Agent’s activity. In order to maintain the highest level of consumer confidence, we simply ask that every Agent delivers their highest and best performance to the Clients we introduce them to. What Happens If We Receive Multiple Negative Feedback Or Complaints? We truly want Agents to do a great job throughout the process and we do our best to relay any helpful feedback from the Consumer on what they could do better or different when it is related to us. However, we do not manage the Agents. 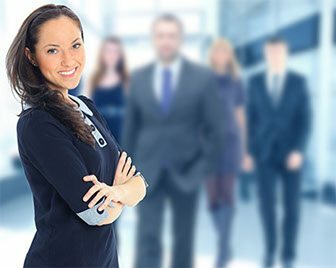 If a Consumer becomes upset over ethical issues, feels that they have been neglected, or feels that the Agent lacks professional conduct, we will point the Consumer in the direction of either the Agent’s Managing Broker or to the appropriate association or commission in their state for filing a complaint. Do I have to be a REALTOR®? Do I have to have a designation or any special certifications to be selected? No. While we do pay attention to relevant designations and certifications for the project and they may help, your local market experience and proven success holds the highest weight into the selection decision. Do I need a certain amount of experience to be considered? Yes. 3+ years of full-time experience. Do I have to be a full-time Agent? Why do I have to respond right away to the initial communication? If we do not hear back from you within the time allotted, we will move on to the next Agent(s). Time is of the essence. We work with real Consumers only (home buyers and sellers) who give us a specific timeframe, usually a short one, to find the right Agent for their home sale or home purchase project. We need appropriate time to identify, select and then run the interview as per the consumer’s request. Does the Real Estate Agent Headhunter® get involved with commission discussions? No. Commission is negotiated directly between the Consumer (typically the home seller) and the Agent and is never discussed with us. We highly suggest offering Consumers a competitive rate with an attractive marketing plan. How difficult are the interviews and what kind of questions can I expect? We ask direct, open-ended, procedural questions which any seasoned Agent should be able to answer with absolutely no difficulty. It is how the Agent replies to the questions that determines their qualifications for the project. We look for solid, honest responses and make decisions based on the best answers. Our questions are always different. There is no way to prepare other than using real professional experience. If there are no further discussions, most pre-screens and interviews generally take up to 15 minutes. However, luxury home interviews will always take longer. How much is the referral fee if I am the agent selected? A typical referral fee is 25% of the property purchase price. Rebates paid to consumers via any of our rebates programs are subtracted from our referral fee. If it turns out that I already knew the Consumer, can I avoid the Broker to Broker Agreement? No. The REAL ESTATE AGENT HEADHUNTER performed the services and made the introduction for the subject project. Therefore, the Broker to Broker Agreement is enforced. 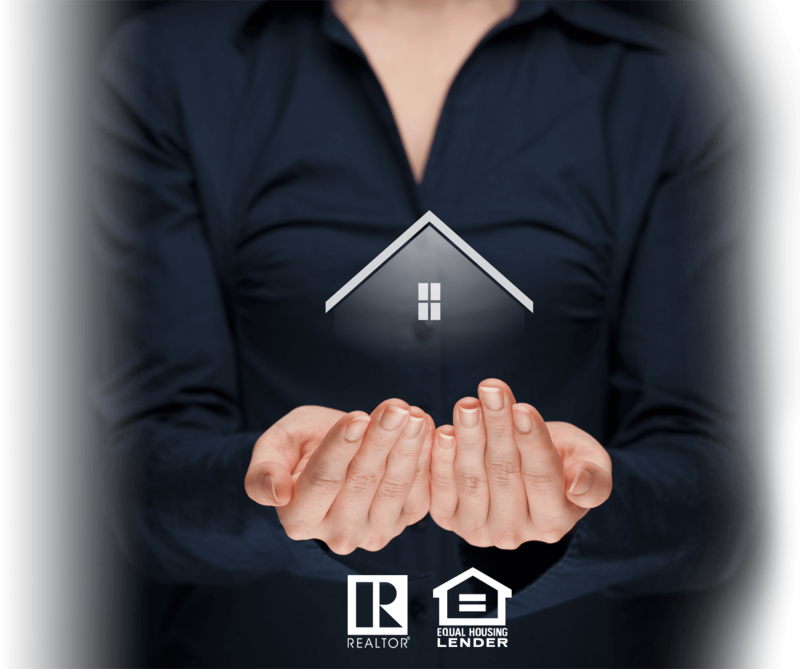 Will I receive repeat local business after servicing referral received from THE REAL ESTATE AGENT HEADHUNTER®? If the Consumer who you serviced was satisfied with the level of service received and communications were open between yourself and THE REAL ESTATE AGENT HEADHUNTER team during the entire process, then you are in line for repeat invitations from us in the future. Having appropriate time available to service the next Client’s project. Being a good match for the specific needs of the next client. Can I introduce myself to THE REAL ESTATE AGENT HEADHUNTER® team? Yes. However, this factor alone does not guarantee that you will receive project invitations from us. We have four different systems of creating our original Agent-Candidate pool for every project. One of those systems would cause us to review your qualification’s brief. 1. In the Subject line, enter your state, followed by a colon, followed by the cities you service (no abbreviations) separated by commas. 2 .In the body of the email, tell us everything you want us to know about you, your experience, and your success. Include statistics (volume, transaction sides, etc), hard skills, soft skills, and a statement about how your services are different / best. 3. ALL the following statements below MUST apply to you. Copy this text entirely and paste into your qualifications brief. If any one statement below does not apply to you, do not send this email in. I certify that every statement below is factual. I have 3+ years’ experience in the local area(s) I service. My Real Estate License has never been disciplined. I personally (not my assistants) am available to services the client 90% or more of the time. I Dress professionally to all meetings with the Client. I have a Pleasant personality. I show up when I say I will. I call when I say I will. I never assume, I always ask. I genuinely love what I do and I add great value to every Client relationship. I use the latest technologies that make life easier and transactions smoother. I recognize and handle issues before they surface. I learn how the Client wants to be communicated to and I follow through. I keep in touch with clients even if there are no new updates.